Born in Whitechapel, on June 9 1836, Elizabeth Garrett was home taught, by her mother, until the age of 10, when a governess was employed, before being enrolled at a private school in Blackheath, at the age of 13. When she had finished her formal education Elizabeth continued studying at home, while also continuing with her domestic duties, for the next nine years. At the age of 18, Elizabeth met Emily Davies, who would go on to found Girton College, Cambridge, and the two would become lifelong friends. So-much-so that in 1860 Elizabeth, and her friend, Emily, decided on careers that would benefit the advancement of women's rights. Elizabeth would open the medical profession to women, while Emily would open the doors to a university education for women. This would be no easy feat. Spending six months as a surgery nurse, at the Middlesex Hospital, Elizabeth was soon allowed to work in the outpatients clinic, before attending her first surgery. While not allowed to enrol in the hospital's Medical School, she was allowed to join the hospital's apothecary, where she studied Latin, Greek and medical substances, while still continuing as a nurse. Eventually she was allowed into the dissecting room and chemistry lectures, but her presence was a concern for her male colleagues, who petitioned for her to be removed. Elizabeth left the hospital, albeit with an honours certificate in chemistry and medical substances. Elizabeth tried to enter medical schools, and the Royal College of Surgeons, throughout England and Scotland, but all without success. However, in 1862, she was accepted into the Worshipful Society of Apothecaries, who could not block her entrance on grounds of gender, a loophole that would be closed in 1865. Elizabeth passed her exam with the highest marks, of the seven that took the exam, that day. 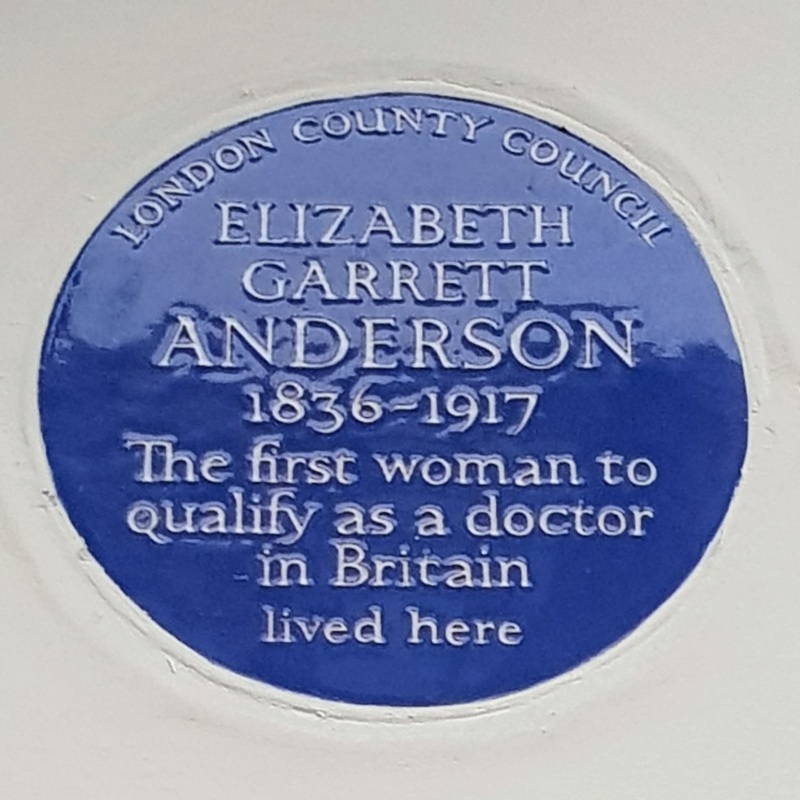 Although licensed, Elizabeth could not take up a medical post, so, in 1865, opened her own practice in Upper Berkeley Street. Gradually the practice grew and, with a cholera outbreak in Britain, many people forgot their prejudice of a female physician and she was able to open St. Mary's Dispensary for Women and Children. In its first year she attended to 3000 new patients. Elizabeth received word that the faculty of medicine, at the University of Sorbonne, was in favour of admitting women as medical students, so began studying French so as to obtain a medical degree. 1870 was a big year for Elizabeth. Firstly, she gained her medical degree from the Sorbonne. Secondly, she was elected to the London School Board. Thirdly, she was appointed as one of the visiting physicians to the East London Hospital for Children, becoming the first woman in Britain to be hold a medical post. However, Elizabeth found the responsibilities of the roles too demanding, especially when combined with her role as a new mother and with the running of her practice and dispensary, so resigned. In 1872 the dispensary became the New Hospital for Women and Children and, in 1873, Elizabeth became a member of the British Medical Association, where she was the only female member. In 1874 she co-founded the London School of Medicine for Women, with Sophia Jex-Blake, where she became a lecturer at the only teaching hospital to offer courses for women. She was appointed Dean of the school in 1883, holding the post until 1902. In 1897, Elizabeth was made president of the East Anglian branch of the British Medical Association, and, in 1908, was elected as the first female mayor in England, when she became mayor of Aldeburgh.